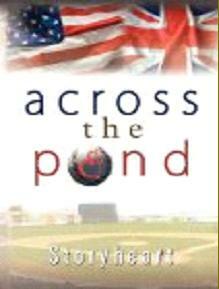 Protagonist, Fred Squire, leaves England for a vacation in the USA and he’s definitely not happy about it. Everything changes when he meets Brit, the attractive American girl who helps him adapt to the US way of life and awakens his pangs of affection. Struggling with his feelings for Brit and the language, Fred’s world is turned upside down when, after a confrontation with the neighborhood bully, Steve Harris, Brit tells Fred her dark secret. Life continues to throw Fred a curveball when he catches a baseball worth a small fortune. Further run-ins with Harris, a crazy family BBQ, and a chase through a mall all add to Fred's American adventure. Will Fred and Brit’s budding romance stand through the test of time? What happens when Fred goes back to England? Witness the unexpected yet thrilling twists and turns as their story unfolds.